I love how the labels on the two different boxes show different time periods, reflected by the horse and carriage on the road outside the factory (top box) being replaced by a car! 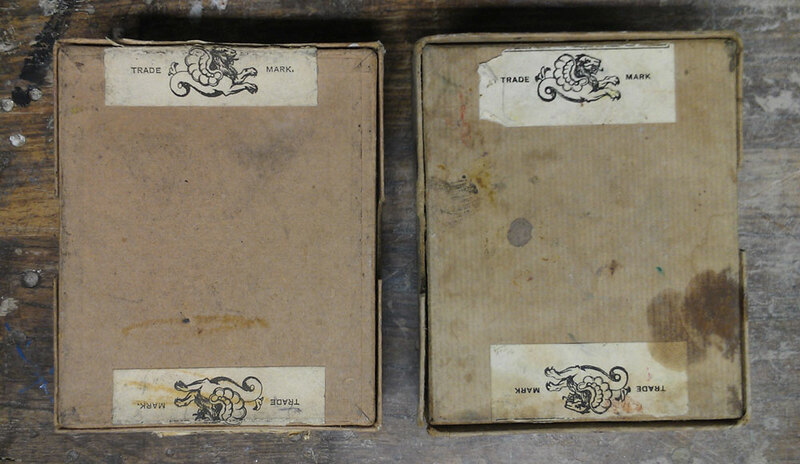 Note the additional chimneys in the later one too (bottom box). 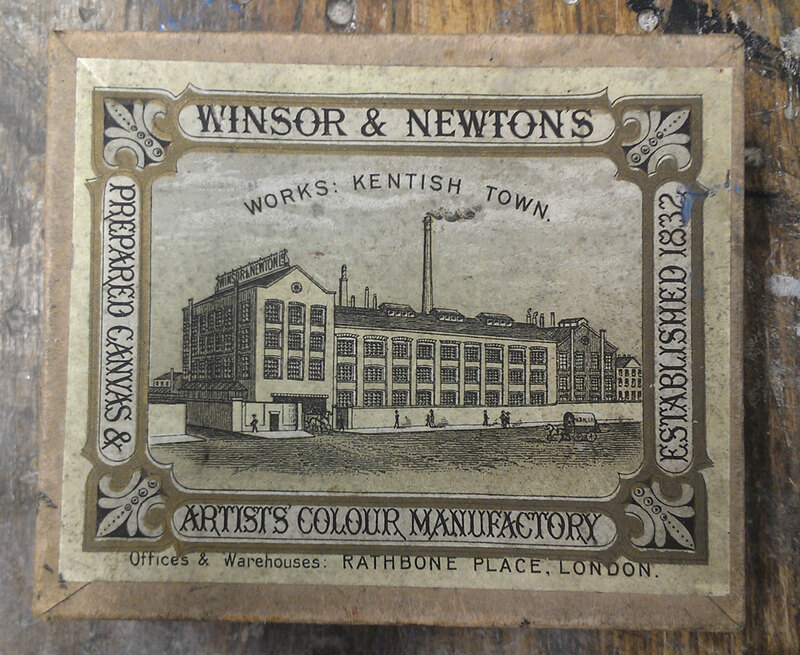 We figured his grandpa had used these paints in about the 20s, which makes sense in terms of the dates of the North London Colour Works (Windsor & Newton’s factories in Kentish Town). 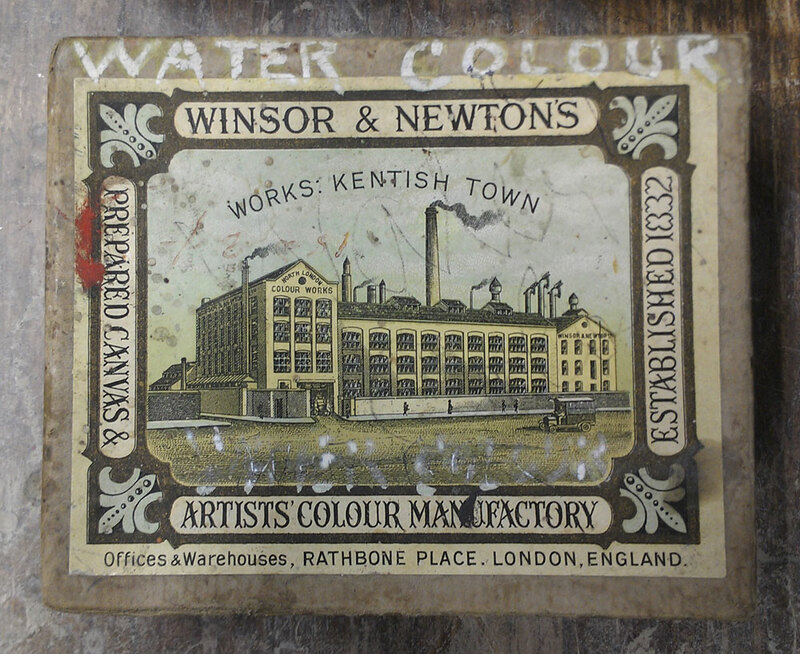 They moved from their premises in Kings Cross and Blackfriars to this bespoke steam-powered factory in 1844, and stayed there until 1938 when they moved both manufacturing and offices to Wealdstone. I have a couple of boxes of paint very similar to yours. (The top is identical) One box is of Viridian No. 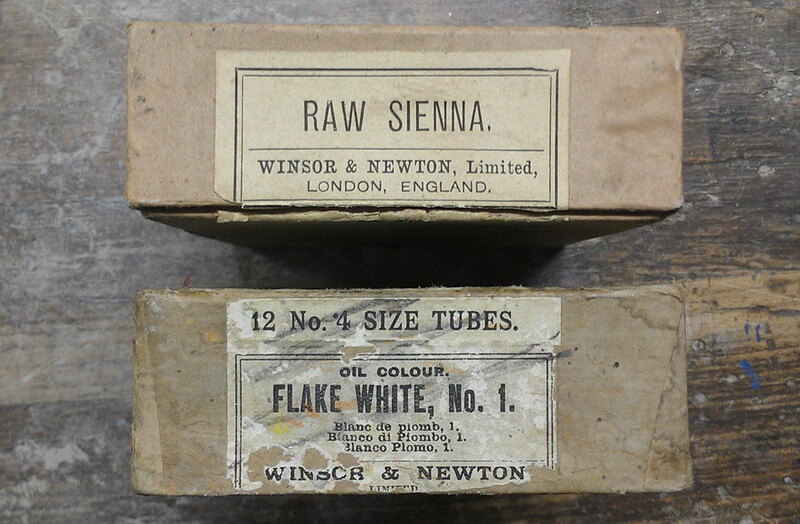 2 size tubes and the other is Cinnabar green No. 4 size tubes. I was wondering if they are of any value? I’ve no idea Adriana, I was just interested in how they look and how they reflected the history of the company.